The story of Lake Chad Region is that of a vulnerable community providing shelter to a displaced community; the poorest of the poor welcoming the impoverished and the exploited people. In the words of Stephen O’Brien, United Nations Emergency Relief Coordinator, the Lake Chad Basin is “the most under-reported and most under-funded and least addressed of the big crises we face”. Unfortunately, Africa’s fastest growing displacement crisis is taking place in one of the poorest and most fragile parts of the world. Wwith 9.2 million people in desperate need of humanitarian assistance, the governments have both downplayed and underestimated the crisis. Lake Chad was once the largest water reservoir in the Sahel region and a major source of sustenance for nearly 21 million people in four countries: Nigeria, Niger, Chad and Cameroon. The lake continues to shrink owing to reduced rainfall and increased irrigation. It now covers less than one tenth of its original surface, proving disastrous for local communities. Spiralling conflict between government forces and armed groups in Central African Republic (CAR), South Sudan and Nigeria, which intensified since 2013, had a spillover effect in Niger, Chad and Cameroon. Communities were uprooted and forced to find refuge in the Lake Chad Basin. In Nigeria alone, an estimated 20,000 children have been separated from their families, with some of them being forcibly recruited by armed groups to carry out attacks. Communities in the Lake Chad Basin face extreme economic crisis. Feeling of insecurity due to threats from Boko Haram prevents them from carrying on with their main activities—farming, herding and fishing. Land is not cultivated and livestock is often stolen by the cadres of the insurgent group. 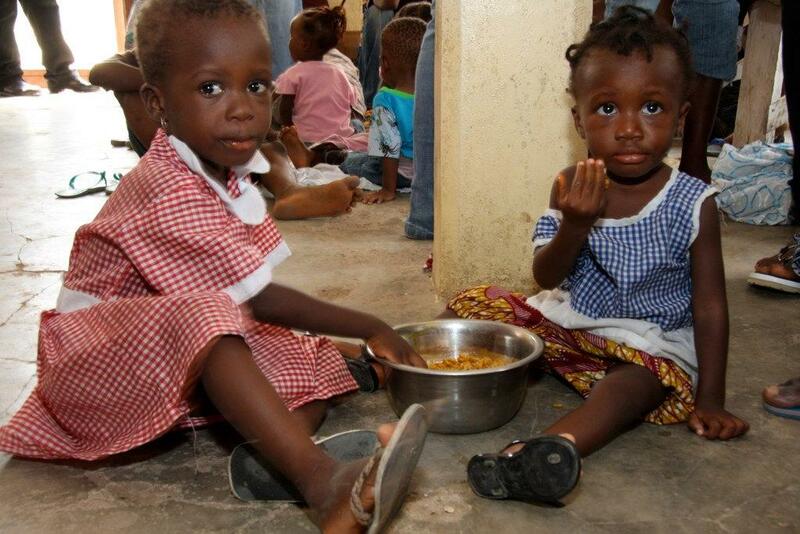 At least 40 per cent of the rural population in Lake Chad basin face chronic food shortages. In July, some pockets in northeast Nigeria reported famine with high levels of mortality due to malnutrition and diarrhoea. According to Oxfam International’s estimate, 67,000 children under five are likely to die in September in Nigeria’s Borno and Yobe states. It translates to death of 184 children every day. Apart from frequent bouts of epidemics, droughts and floods, violence has also contributed to chronic malnutrition among children. In 2016, over 475,000 children are predicted to suffer from severe malnutrition in conflict-affected areas. In northeast Nigeria’s Borno state alone, an estimated 49,000 out of 244,000 children suffering from severe malnutrition are at risk of dying if they do not receive treatment. With areas previously under the control of Boko Haram insurgents now becoming accessible, many such cases are coming to the fore. The towns and villages, recently freed from the clutches of Boko Haram, lie in ruins with communities having no access to basic services. In Borno state alone, 60 per cent of health facilities are either partially or completely destroyed and at least 75 per cent of water and sanitation facilities need a revamp. The only humane side to this crisis is the way the host communities are welcoming those who are fleeing their homes. Out of the 2.6 million people who were forced to flee their homes, 1.4 million are children. About eight in 10 people, who escaped violence, are sheltered in host communities, who themselves have not recovered from droughts and floods. When poor communities continue to share their meagre resources with the displaced people, the resources get exhausted at a faster rate. Hence, both the host communities and displaced people find it hard to meet their basic needs. Three years into the humanitarian crisis, the response remains lukewarm. Humanitarian organisations such as UNICEF and Oxfam International are trying to continue their work despite funding shortfalls and insecurity. 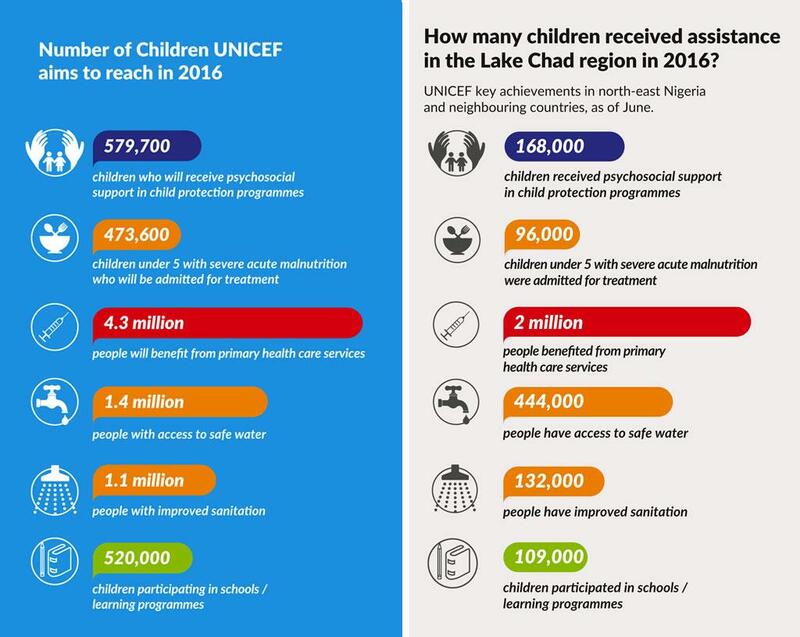 UNICEF had revised it requirement to US$ 308 million to provide lifesaving assistance to families affected by Boko Haram violence across Chad, Cameroon, Nigeria and Niger. By mid-August 2016, it has received only $41.2 million—13 per cent of its funding requirement. Only 22 per cent of the $559 million requested by Oxfam International had been received as of July 2016.